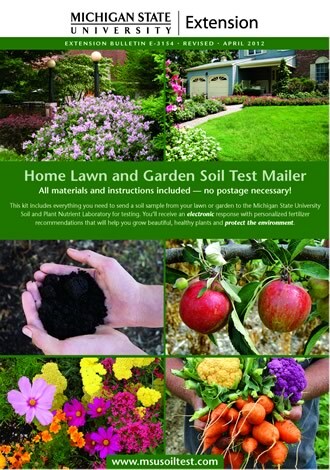 Why Test Your Home Lawn and Garden Soil? Lawn and garden plants require 18 nutrients for healthy growth and productivity. The soil is a reservoir of these nutrients. Plants utilize these nutrients but they need to be replenished from time to time. By having your soil tested you can learn which nutrients are present and which ones need to be added depending on the plant(s) you are trying to grow. You can avoid over-application of fertilizers which can waste money, reduce plant quality and pollute streams, lakes and groundwater. Based on your soil test results, you will receive a custom fertilization program to meet the needs of your plants and safeguard the environment.